Celebrating our 36th Men's Baseball Season in Spring 2019! 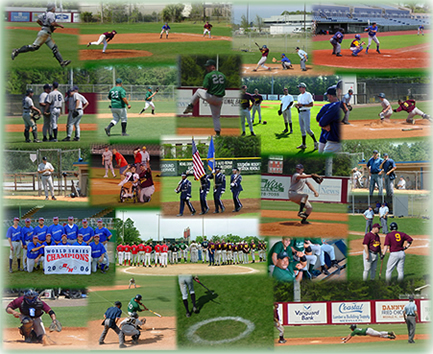 The Okaloosa Men's Baseball League competes locally in the greater Niceville, Ft Walton Beach area in NW Florida. The league is open to players 18 years and over (not in high school). There are rules in place to protect the interests of our 30-over players.There are 2 seasons each year; in the spring and in the fall. The Okaloosa Men’s Baseball League serves NW Florida and provides an opportunity for men to play amateur baseball in a locally competitive environment. The league is chartered through the national Roy Hobbs Baseball association and adheres to the Roy Hobbs philosophy that all willing players deserve an opportunity to play organized baseball. A founding principal is our belief that all players should be fielded so as to create parity amongst all teams in order to afford equal opportunity for victory at every scheduled game. A second guiding principle upon which this league is founded is sportsmanship and fair play.